Pumpernickel is probably the most German of all breads. While German-style wholesome and wholegrain breads can nowadays be found in other countries, under European Union law authentic Westphalian pumpernickel can only be made in Germany. The commercial use of the term Westfälischer Pumpernickel (Westphalian Pumpernickel) is regulated by the European Union scheme of protected geographical indications (PGIs). Bread may only be sold under that name if the production process, from the mixing of the dough to the baking, takes place in Westphalia, an area where rye is a traditional crop and pumpernickel has been baked for more than five centuries. The dark brown bread sold as pumpernickel in the United States has no resemblance with the real thing. 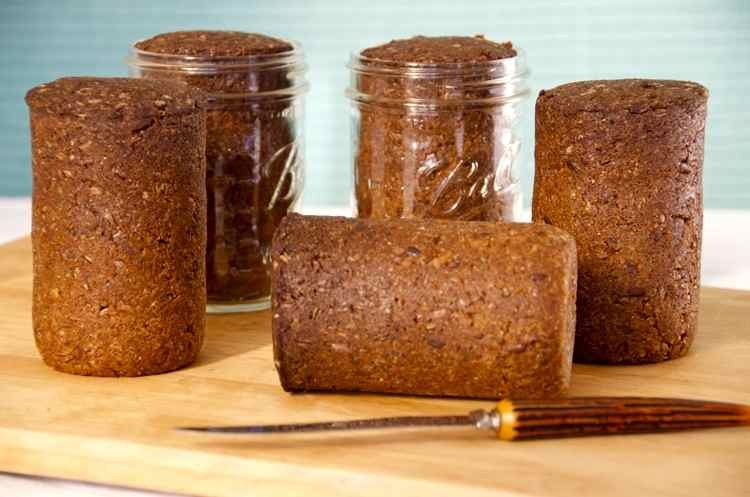 Instead of baking the pumpernickel bread the traditional way, which is at very low temperature for 12 to 16 hours, in the US molasses are added to the dough to give it its dark color. In the authentic recipe, the sugars slowly caramelize during the baking process in a steam oven. 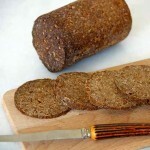 Traditional German pumpernickel must not contain any preservatives yet it has a very long shelf life. Shrink-wrapped, it keeps for several months, and in metal cans for up to two years. The authentic version of the bread is a pure rye bread made of at least 90% coarsely ground rye flour or wholemeal rye grain, or a mixture of both, plus water, salt, and yeast. Other optional ingredients are malt, sugar beet, or syrup. Sometimes, a little bit of stale pumpernickel is added to the dough. This intensifies the flavor and uses up leftovers at the same time. 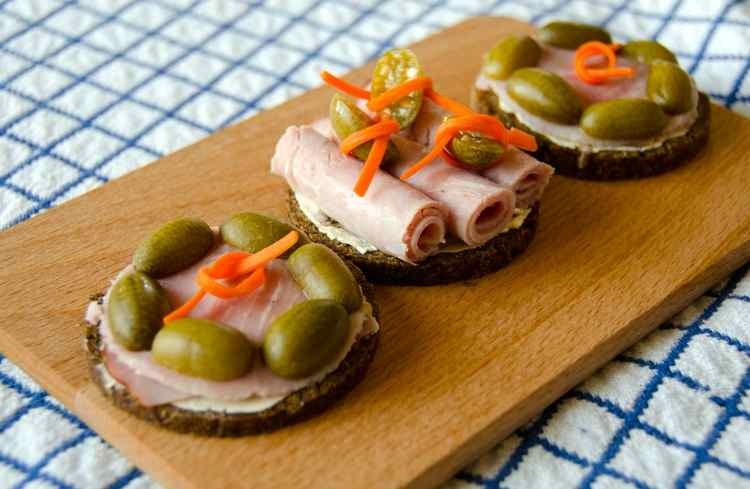 The world seems to be divided into pumpernickel lovers and haters. I have several German friends who shiver at the sheer mention of it. I, obviously, belong to the first group. My mother’s family being from Westphalia, it must be in my genes. Pumpernickel is, by the way, not just eaten as bread. 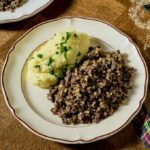 It is also incorporated into scrumptious regional desserts, such as chocolate pumpernickel pudding, apple pumpernickel Betty (Apfelbettelmann), and Westphalian trifle. 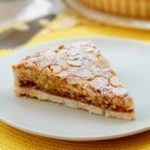 All these dessert recipes are in my German regional cookbook, Spoonfuls of Germany. Until recently I always brought pumpernickel back from trips to Germany, or asked visitors to bring me some. Because the bread is so dense and filling, the packages are small, which makes the transatlantic pumpernickel trafficking easier. I had been baking our own bread for many years but never made pumpernickel because I did not find a recipe that convinced me, and that I could make in a standard home oven. 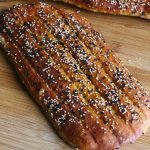 Then a few months ago, London-based German food blogger Ginger & Bread posted a straightforward pumpernickel bread recipe that she had found on a German bread-baking forum. I went to work and, as the recipe requested, did not touch the pumpernickel for two days after baking. When I took the first bite, I had to close my eyes. This was hands-off the closest to original pumpernickel that you can make at home. It was fabulous. Because pumpernickel is so dense, the loaves are always small, much smaller than regular breads. I like baking the pumpernickel bread in straight-sided (16 ounce/450 ml) wide-mouth canning jars, which makes small, perfectly round loaves. But a word of caution here: to prevent the jars from thermal shock breakage due to temperature differences, it is crucial to exactly follow the steps for the water bath process, including the specified times for cooling off. If you are not comfortable baking the bread in canning jars, use regular loaf pans, or a Pullman loaf pan, and only fill the pans to about two-thirds. For the water bath, I find that my turkey roaster, which comes with a lid, works great. You can use any large casserole; just make sure before filling the pans or jars with the dough that the casserole is large enough to hold everything. Since baking pumpernickel is such a lengthy process it makes sense to bake a large batch. I usually leave one loaf in the refrigerator, where it keeps for up to two weeks, and freeze the rest right away. Pumpernickel bread keeps for several months in the freezer. 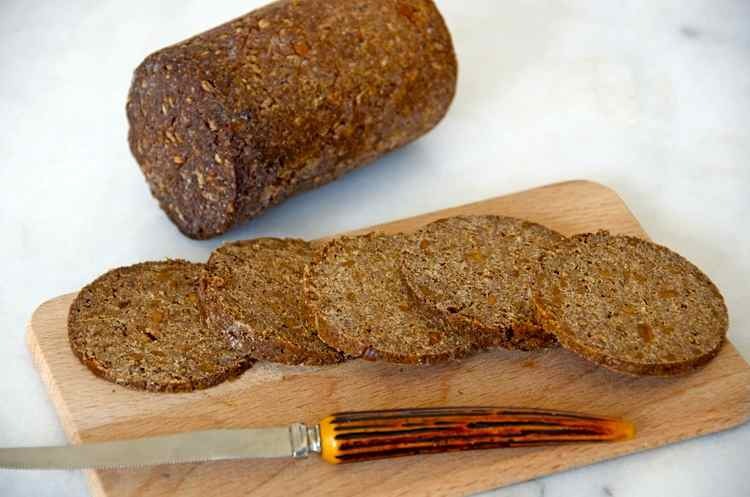 Authentic pumpernickel is a pure rye bread, originally from Westphalia in Germany, made of at least 90% coarsely ground rye flour or wholemeal rye grain. Put the berries in a small saucepan and pour boiling water over them to cover by at least 1 inch. Cover and set aside to soak overnight. For the levain, mix the rye flour, water and sourdough starter in a small bowl until well combined. Cover and let it rest overnight in a warm place. Add enough water to the soaked rye berries so that there is about three times as much water a berries. Bring to a boil, then reduce the heat and simmer, covered, for about 1 hour, or until the berries are soft. Check for water once in a while to make sure the berries are always covered with plenty of water, and add more water if necessary. Drain the cooked berries and set aside to cool. In a large bowl mix the dark rye pumpernickel meal, cracked rye and salt. Add the levain and 1⅓ cup water. Mix until well combined and no traces of flour remain. Add the cooked berries, syrup and sunflower seeds. Knead the dough using the dough hook of an electric mixer or your hands and add the rest of the water during kneading, as needed, until the dough starts to come off the sides of the bowl. The dough should be moist and slightly sticky so it might not come off the sides of the bowl like in other bread doughs, which is fine. Dust with rye flour and cover. Let rest in a warm place for 30 minutes. Grease 5 (16 oz.) straight-sided canning jars or 2 loaf tins. Knead the dough on a lightly floured surface to remove any excess air. The dough should be slightly sticky. 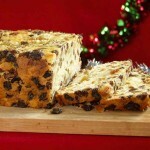 Divide the dough into equal portions and place it into your baking pans or jars. Leaving about 1 inch headspace in the jars to allow for the bread to rise (depending on the liveliness of your starter, the dough may or may not rise, mine always does). Only fill the pans to two-thirds to make smaller loaves. Grease small pieces of aluminum foil and cover the jars/baking pans, greased side down. Let rest in a warm place for 2 to 3 hours. Preheat the oven to 300 F. Remove the aluminum foil from the jars/baking pans and lightly spray the surface of the dough with water. Place the aluminum foil back on the jars/baking pans, greased side down. Make sure that the jars/baking pans are tightly covered. Adjust the oven rack to the lowest setting. Place the jars/baking pans in the casserole and and place it on the oven rack. Pour about 1 inch hot water into the casserole. Place the lid on the casserole. Bake for 1 hour at 300 F. Reduce the heat to 212 F and bake for 13 more hours. Add hot water to the casserole every few hours to maintain the water level. 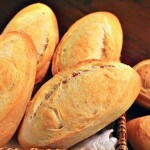 If you bake the bread overnight, pour more water into the casserole before you go to bed. A higher water level of 1½ to 2 inches does not harm but an empty dry casserole may cause the jars to crack and should be avoided by all means. At the end of the baking time, turn off the oven and leave the casserole in the oven for 1 hour. Then take the casserole with the jars/baking pans out of the oven and let everything cool on the counter for another 30 minutes, or until cool enough to handle. Meanwhile keep the oven door closed to trap the residual heat. Gently unmold the breads (promptly removing them is important, otherwise you will have trouble removing them later) and place them in the warm oven for a couple of hours to dry. Remove the breads from the oven. Let them cool completely, then wrap them in wax paper or parchment paper and either place them in freezer bags right away, or let the bread sit in a cool place for another two days before cutting it on Day 5. Store the pumpernickel in an airtight container in the refrigerator. Nadia is originally from Germany and currently lives in the US. 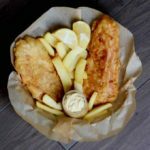 She is a cookbook author and blogger who shares her love for German cuisine on her blog Spoonfuls of Germany. For the love of all that is good and happy, do not make this recipe unless you have the time to do it fully as written!!! I made the mistake of not leaving time to cool and unmold before work and when I got back, there was no unmolding. I may have lost two of my canning jars to this. I finally pried the bread out, but there will be no pretty slices for most of this. It tastes good, even before the two days rest. Heather, Sorry you had trouble unmolding the bread. I have never let it sit in the jars for long, and the bread always released beautifully from the greased jars so it was not at all clear to me that it would be problematic to unmold it later. Thanks for alerting me to this. I added a sentence to the recipe stressing the importance of prompt unmolding. Glad to hear though that the bread tasted good, and I hope that you won’t be deterred from making pumpernickel again. It worked. I did a low sugar bread pudding and had that for breakfast the last week and a half. I absolutely adore pumpernickel but have never been brave enough to make it, however reading your recipe is inspiring. Do you think i could make it okay on a woodfired rayburn? I live in central France, and bake all our own bread mostly sourdough with a mixture of organic flours, and then sometimes an urge for light and fluffy brioche yeasted types. Have been baking bread all my life, and love it still, and would really like to crack the pumpernickel. One slight problem..where to buy rye berries? Jennifer, I am not familiar with baking in a woodfired rayburn but as long as you are able to maintain a constant temperature of 150 degrees C for the water bath, that should work fine, just make sure to replenish the water as it evaporates, and follow all the other steps laid out in the recipe to prevent thermal cracking of the jars if you choose to bake the bread in jars. – Not sure about finding rye berries in France, I imagine health food stores sell whole rye berries and cracked rye (grains de seigle or seigle complet), or try to oogle them to mail-order. Baking bread on a woodfired oven in central France sounds lovely! I bake in woodfired ovens, I do not think there is any need for a steam bath. when bread is loaded at 380 and the flue is closed and the door is tightly closed. there it remains for 12-14 hours. 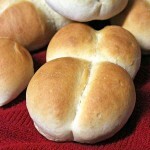 I was just looking on line on how to bake pumpernickle bread, and came across your blog. I found your almost authentic German recipe very interesting. I have baked quite a bit of bread and many kinds of bread, including sour doughs from scratch. And after I read your blog, I realized that I have made something similar as my own creation. Except not baking for 15 hrs. Never heard of that. I have sprouted rye (say a cup) and puried them in their own soak water, for the extra flavor. Oh, boy how rich in flavor! Then put the purree in an open container outside for overnight, to catch some wild air borne yeast. Then let it ferment on the counter for about 3 or 4 days or what ever it takes to get working. .
Then just add enough regular white flour and salt to make a good bread dough. Sometimes I add sunflower seed or oatmeal flakes or what ever. It takes a heck of a lot of salt to be able to taste the salt and make it tasty. I use sea salt. This could take a few days. Then for baking pans, I opened one quart juice cans and lined them well with parchment. And then weighed the dough to about 600 grams, rolled it in cornmeal, and dropped it into the tins. I watch the rising dough and spray with water to keep it from drying out. And put it in the oven to bake at 350 for a good hour or an hr and half. I have put a pan of water on the bottom of the oven for moisture. When done, I remove the tins and then remove the loaves and put them on a oven rack on the table to cool off and dry out some. This makes some awesome bread! 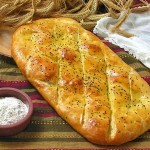 I have made many kinds of variations of this bread. No two are a like. For example, I have rolled the dough out to about 3/4 in and generously buttered it, then placed wild leek or wild mustard leaves or dandelion leaves, with some dill and rolled it up and dropped in to the tins. But before dropping the dough into the tins, I also lined the tins with the same leaves, so the leaves are baked into the outside of the crust. This fills the house with an amazing aroma! When you bite into this bread, you almost feel like you are going to levitate. But now I will try your way, next time I feel like baking bread. It has been a few yrs since I did all that. I forgot to say that I add some sugar to the rye puree to give the yeast some extra food. Like maybe a tablespoon. I wing it. And when rising the dough, every time I punch the dough down and reknead the dough, I add roughly a teaspoon or two per loaf. I also generously add and knead in fresh ground black pepper. That makes real flavor. I have repeated this add sugar and reknead and rerise process up to several times. I have no standard procedure, I wing it. I do what ever comes to mind at the time. Another herb I have used for leaves is wild lemon sorrel. And I also generously salt and pepper the leaves, before I roll them in. 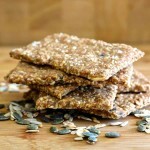 Get rye seeds at a local farm animal feed store. My store has a small bin of almost every grain used for feed or seed in the area. You can buy any amount you want like a bulk food store. Do I let it sit for 30 minutes OR unmold as soon as I take it out of the oven? Sorry Vonita for the late reply, I only saw your question today. You are right, this was confusing. The casserole with the jars/baking pans is taken out of the oven and you let it sit on the counter for another 30 minutes, or until cool enough to handle, then gently unmold the breads (removing them promptly is important, otherwise you will have trouble removing them later). Then you place them in the warm oven for a couple of hours to dry. I’m not sure if I’m doing something wrong, but I’ve tried this recipe a couple of times and the concept of “kneading the dough” is kind of a joke. The dough just isn’t coming together for me and when I try to “knead” it’s jusy a sticky mess that squishes out and gets everywhere. This latest time I tried it in the KitchenAid with dough hook for at least 10 minutes, constantly using a spatula to ball up the dough, but the dough hook could never grab a cohesive ball of dough and “ clean the sides”. I end up every time having to add a bunch of extra rye flour just to get the dough into a ball. 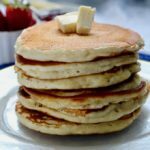 I’m not a total noob and use the gram measures for ingredients. I am using Bob’s Red Mill products for the rye flour, pumpernickel meal, cracked rye, and rye berries. Anyone know of any recipe variations required when using these products? William, Sorry you are having trouble with the dough and I am curious about the final result after baking. 1) The cooked berries aren’t drained enough so they are adding too much extra liquid to the dough. In addition to draining them in a sieve, I would spread them out on paper towels to remove that excess liquid. 2) The 300 to 350 ml water specified are too much. 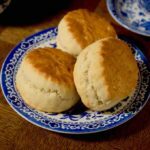 That range works for me each time but I have also had it happen in other bread recipes that I used even less than the lowest amount specified in the recipe. So here I would start with as little as 250 ml and gradually add more but not the full amount. The dough is indeed sticky and I might not detach perfectly from the bowl. Based on your observation, I will modify the instructions accordingly. Since the pumpernickel is baked in loaf pans or jars, it is quite forgiving, and a bit extra moisture does not matter, in fact, if the dough had the same consistency as dough that must hold its shaped in a free-form loaf, I am afraid the pumpernickel would come out very dry after this long baking time. And the baked bread is rather moist, that’s why I leave it to dry in the oven for a couple of hours after baking. But since the dough is sticky and moist, greasing the loaf pans very well is crucial. 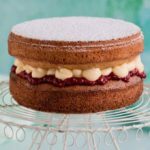 Nadia – I had already made the dough before writing this and then seeing your reply, so here’s my summary. I did not do item (1), so that definitely would have introduced moisture. I used the minimum 300 mL water from item (2), but next time I will try a little less. However, I will say that my gut was right. Because you indicated that the dough needed to be kneaded, I attempted whole-heartedly to do this and kept adding rye flour until it was possible. In previous bakes, I ignored the kneading step altogether, just stirred it with my spatula, and then put it right into the proving bowl. So, this time, when I worked the dough vigorously and added more flour, I will say that the bread came out better, although I think it was more dense than even pumpernickel is supposed to be. It has better cohesion and didn’t crumble when I tried to bake it. Tastes great, of course. So I think for next time, I will follow your suggestions (1) and (2), but still try my darndest to work the dough and knead it, just not add so much extra flour. Probably just takes a little more practice to really see and feel what the rye dough should be like. DO YOU SOAK THE CRACKED RYE? No, you don’t soak the cracked rye. I just have a question about tightly covering the jars or loaf pans. Do you use the lids for the jars like you would if you were canning? How would you tightly cover a loaf pan? I have tried long bakes before and they have turned out like bricks so this is the step that I need the most help with. Tracy, No lids, just use greased aluminum foil as specified in the recipe. Same thing for a loaf pan, and you can crimp the foil around the rim so it seals. Not airtight of course but tight enough. – The dough is quite moist so it should definitely not come out as a brick, on the contrary, as described in the recipe, the loaves should be left in the warm switched-off oven for a bit to dry more. 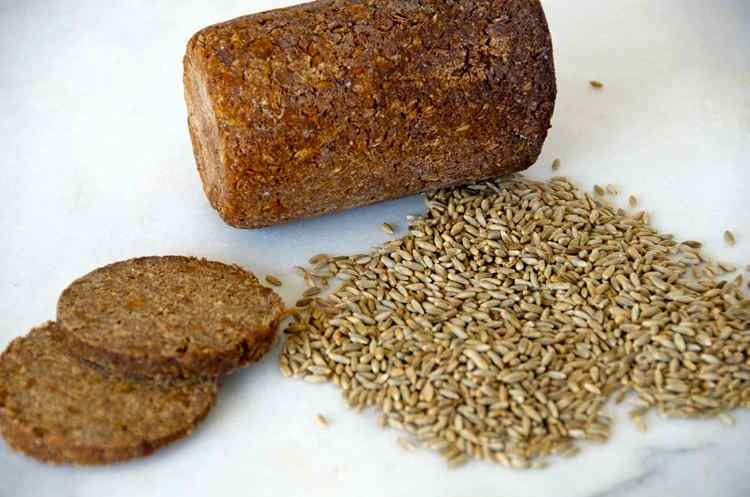 Would it be possible to subsitute the rye meal with dark rye flour? I can get all the other ingredients but can’t seem to find rye meal anywhere! Thank you for publishing this recipe for pumpernickel bread. My great-grandparents were from Westphalia and my favorite bread is the one their daughter (my grandmother) made. Childhood memories pop up to the sky when eating this bread. In case anyone is interested, I tried this in my slow cooker, using the “High” setting for the initial first hour of baking and “Low” for the remaining 13 hours. The only change I made was to increase the first higher temperature baking time to 2 hours, and I did not preheat the slow cooker as you would an oven. Also I added more water, about halfway up the sides of the jars so I wouldn’t have to get up at night to refill. At the same time I baked several jars in the oven, to see if there was a difference, and they were indistinguishable once done. Thanks so much for these details, Anita! I am sure they will be super helpful as people try this recipe! Yes, thanks Anita, this is great. There was a question in the thread before whether it is possible to make this in a crockpot. I don’t own one but I know slow cookers are very popular and glad to know the results was the same as baked in the oven. Hello Nadia. In your recipe you suddenly say “Put the jars or pans in the casserole” What casserole ? It’s not mentioned anywhere else, or have I missed somthing? I was wondering about the Sourdough Starter. I assume not any starter will do. Could you let me know what you do, also using a fed starter. I know my Opa used to be grating Onions for ever to feed the starter because he would make 100’s of loaves at a time. After he passed we never could find anything in writing to match what he did or had in his head. I had even reached out to the German Bakery still in existence in the San Francisco Bay Area. He gave and trained the owner and staff in the 50’s to use his starter and recipe after they lost their starter. Unfortunatley. that hit a wall looking for help to get my Opa’s pumpernikel recipe back. Thanks for the Starter recipe and how to feed it.